Your exploration of the wild should bring you to Sri Lanka. With its vast abundance of nature’s beauty, there may be a part of you that wants to cover all of Sri Lanka. Since this is not possible at all, we listed here the top 5 World Heritage Sites in this exotic republic. Read on to learn more. This is one of the prime shrines of Buddhism in Sri Lanka. Anuradhapura is a testament of Sinhalese civilization, and it stands as a permanent manifesto of the culture of Sri Lanka being resistant to outside influences. The sacred city includes remarkable monuments, particularly the colossal Dagabas, which is placed on circular foundations and is surrounded by a ring of monolithic columns, characteristic of the Sinhalese stupas. 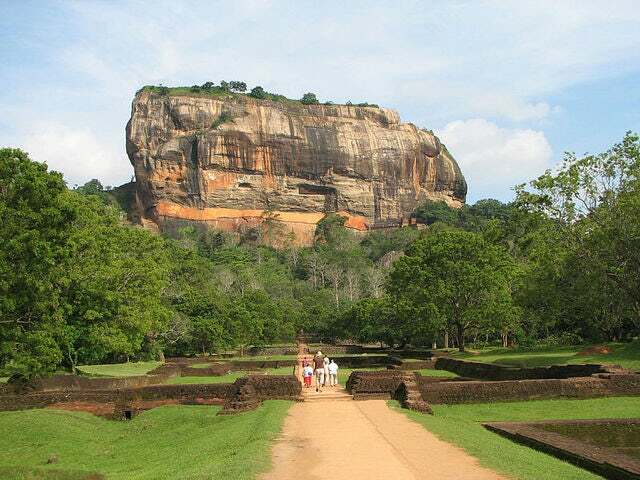 A site to behold, Sigiriya consists of a 180meter-tall granite rock. At the top of the site, accessible through a stone stairway, sits a palace complex. About halfway to the top, a huge head of a lion’s open mouth serves as the entrance to the royal palace. In addition to this, surrounding the palace complex are the ruins of a garden complex consisting of two moats and various pools. The Old Town of Galle and its Fortifications is the best example of a fortified city built by Europeans in the South, illustrating the interaction of European architecture and South Asian traditions. European building materials were replaced by those more convenient in Asia, but the town still looks very much European from the outside. Known as The Kingdom of the Lion, the Sinharaja Forest Reserve is a national park and a biodiversity hotspot in Sri Lanka. The hilly virgin rainforest, part of the Sri Lanka lowland rain forests eco-region, was designated a World Biosphere Reserve in 1978. The caves of Dambulla, like the Mihintale caves, were occupied in very early times by Buddhist hermits; hence, making it a top World Heritage Site in Sri Lanka. Overall, Sri Lanka has a lot to offer, and a majority of this is found in its natural wonders! So live the adventure and start planning your vacation now!